It’s a mistake to believe Super Bowl 54 will feature the same two teams we saw in Super Bowl 53. But oddsmakers are showing that belief once again for the 2019 season. The early odds for Super Bowl 54 showcase New England and the Los Angeles Rams as the favorites, at +700. You would think it makes sense that this past year’s participants should be the favorites. However, this is the NFL, where teams take a step back and get better within a year’s time. Teams that lose the Super Bowl (other than New England) don’t return to the Super Bowl. And mostly, the losing teams take a major step back and go through plenty of turmoil the following the season. And I’m anticipating that will happen once again with the Rams. We saw some issues toward the end of the season, with Jared Goff showing some weaknesses. We witnessed the offensive line struggle in the Super Bowl, something that is likely to rear its ugly head again in 2019. And the defense struggled several times this past season, and it’s not getting any younger. So I’m fading the Rams heading in 2019. So which teams, other than the Patriots, deserve our attention in 2019? Here’s three teams that should have value to be 2020 Super Bowl champions. When the win totals are released, I’m hammering the Colts. Indianapolis should be one of the most popular picks for a No. 1 seed in the AFC in 2019, thanks to a revamped offensive line and a healthy Andrew Luck. As Luck found his footing in 2018, the Colts stumbled to a 1-5 record. 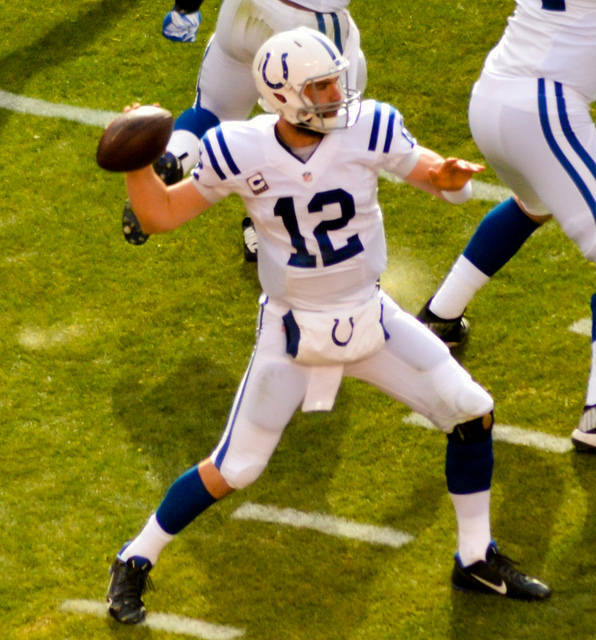 And what helps is that Indianapolis is young, with a top-five quarterback at the helm. Hammer the over and grab some Super Bowl value with the Colts. Atlanta was a major disappointment in 2018, but I’m not going to hold that against them. The Falcons have plenty of talent on both sides of the ball, with an improving defense to go along with a dynamic offense. The major problems that hindered the Falcons were injuries in 2018. While that may derail them again, I have confidence that if Atlanta stays healthy, the roster features players capable of making the playoffs. When healthy, the defense has the capability of being a top-10 unit. That should be more than enough to be much improved in 2019, especially with an offense that also is among the league’s best. Sleeping on the Falcons is a mistake. I’m surprised I’m getting this much value with Seattle. Last I checked, Russell Wilson is still the quarterback and the team has a notable home-field advantage. The Seahawks started slow this past season, but once it found its groove on the offensive side of the ball, Seattle became one of the better teams in the NFC. The team got back to its roots during the latter stages of the 2018 season, feeding off its defense and running game. That strategy will likely stay the same in 2019, giving the Seahawks a chance to win again, especially with Wilson pulling off fourth-quarter dramatics.